Provident Financial Services, Inc. (PFS): Hedge Funds and Insiders Are Bullish, What Should You Do? Provident Financial Services, Inc. (NYSE:PFS) investors should be aware of an increase in hedge fund sentiment lately. In today’s marketplace, there are tons of methods shareholders can use to monitor publicly traded companies. Some of the most underrated are hedge fund and insider trading movement. At Insider Monkey, our research analyses have shown that, historically, those who follow the best picks of the elite money managers can beat the S&P 500 by a superb amount (see just how much). Equally as important, optimistic insider trading sentiment is a second way to parse down the world of equities. As the old adage goes: there are plenty of incentives for an insider to downsize shares of his or her company, but only one, very obvious reason why they would behave bullishly. Several academic studies have demonstrated the valuable potential of this method if you understand what to do (learn more here). Consequently, we’re going to take a glance at the recent action regarding Provident Financial Services, Inc. (NYSE:PFS). What have hedge funds been doing with Provident Financial Services, Inc. (NYSE:PFS)? Heading into 2013, a total of 6 of the hedge funds we track were long in this stock, a change of 200% from one quarter earlier. With hedge funds’ positions undergoing their usual ebb and flow, there exists a few notable hedge fund managers who were upping their stakes substantially. 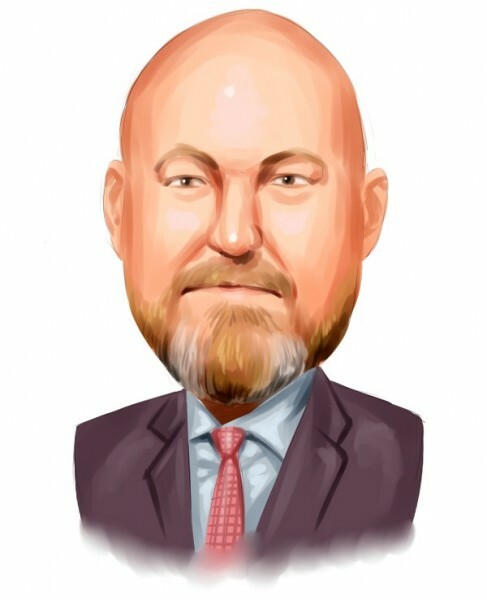 According to our comprehensive database, AQR Capital Management, managed by Cliff Asness, holds the most valuable position in Provident Financial Services, Inc. (NYSE:PFS). AQR Capital Management has a $8.4 million position in the stock, comprising less than 0.1%% of its 13F portfolio. Coming in second is Jim Simons of Renaissance Technologies, with a $0.4 million position; the fund has less than 0.1%% of its 13F portfolio invested in the stock. Other hedgies that hold long positions include Ken Griffin’s Citadel Investment Group, John Overdeck and David Siegel’s Two Sigma Advisors and David Costen Haley’s HBK Investments. With a general bullishness amongst the heavyweights, some big names were breaking ground themselves. Citadel Investment Group, managed by Ken Griffin, assembled the biggest position in Provident Financial Services, Inc. (NYSE:PFS). Citadel Investment Group had 0.4 million invested in the company at the end of the quarter. John Overdeck and David Siegel’s Two Sigma Advisors also initiated a $0.2 million position during the quarter. The other funds with brand new PFS positions are David Costen Haley’s HBK Investments and Mike Vranos’s Ellington. What have insiders been doing with Provident Financial Services, Inc. (NYSE:PFS)? Insider buying is particularly usable when the company in question has experienced transactions within the past 180 days. Over the latest half-year time period, Provident Financial Services, Inc. (NYSE:PFS) has seen 3 unique insiders purchasing, and 1 insider sales (see the details of insider trades here). Let’s also review hedge fund and insider activity in other stocks similar to Provident Financial Services, Inc. (NYSE:PFS). These stocks are Kearny Financial Corp. (NASDAQ:KRNY), Northwest Bancshares, Inc. (NASDAQ:NWBI), Flagstar Bancorp Inc (NYSE:FBC), Astoria Financial Corp (NYSE:AF), and Columbia Banking System Inc (NASDAQ:COLB). All of these stocks are in the savings & loans industry and their market caps are similar to PFS’s market cap.